In this post I'm going to do something I normally wouldn't do, I will present another blog/magazine and promote the startup of a printed magazine. I don't often read printed magazines and actually buying one is an even rarer occurrence. Mostly because I've never really found one covering a topic of interest to me in a way that would make me be a regular reader. Now, however, I believe I've finally found one. 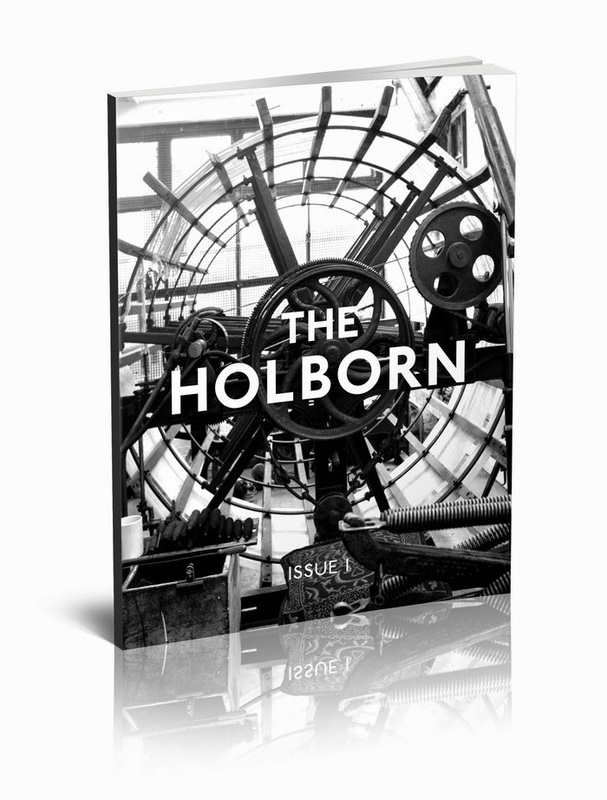 The first issue of The Holborn is expected in July and is something I'm looking forward to. To tell you more about what The Holborn is all about I have the pleasure of introducing Morgan Hamilton Griffin (editor-in-Chief). He has been so kind and written the following text. Read through it and learn more about The Holborn and the planned launch of one of the most exciting printed magazines to see the light of day in many years. "The Holborn magazine is in essence about a well-made life. What we mean by this is we seek out and tell the stories of people from any walk of life that are dedicated to their craft. We search high and low for those hard working bartenders, tailors, food-stall holders, entrepreneurs and eccentrics who go the extra mile for their keep. We believe firmly in quality not luxury. That the enjoyment of well, made quality goods enhances life and should be celebrated. We believe that such a life should not have to cost the earth and can be enjoyed by all. We started The Holborn partly to fuel our love of telling stories about the things we love and because we were frustrated that we often struggled to find those stories elsewhere. We were always committed to print as well, we have always felt it would be disingenuous of us to celebrate beautifully made things and their makers if we also didn't ourselves make something beautiful. The Holborn as a very holistic experience. We are a lifestyle magazine in this sector at a time when you see a lot of magazines focusing with great success on many of the individual areas we cover. The Holborn has always been based around a physical idea, an egalitarian gentleman’s club as one reader once put it to me, and we shall guide you through the Bar, The Dressing Room, The Library, Our Workshop and then a midnight snack in The Pantry. At the heart of what we do is a principle, that of the Well-Made life, and that runs through all the rooms and the lifestyle we impart. The Holborn has been on an exciting journey since we started the online magazine in 2012. We have seen readership as high as 5,000/month and have built a strong network of writers and artisans. Late last year we opened the The Holborn Workshop in East London, where we have hosted a number of events, workshops, and supper clubs, in addition to showcasing the products of some of our favourite brands. The continual highlight of the project has been every time I get to go visit a designer/maker that we love in their own space and get invited into their world. It is always inspiring. Now, we are very excited to announce our launch of the print version of the magazine. In order to make this happen, we are launching a crowdfunding campaign on Kickstarter.com. Our goal is to raise 8,000 so we can cover the print and design costs of first issue of The Holborn. We as a team have always been great lovers of print and the world of independent magazines. The Holborn started as an idea with conversations in the Princess Louise Pub on High Holborn, accompanied by piles of magazines acquired by trips to Charlotte Street News. We have always felt it would be disingenuous of us to celebrate beautifully made things and their makers if we also didn't ourselves make something beautiful. We are offering a variety of rewards from Issue One with a dedication to all our backers in, to a The Holborn Magazine tote bag and a A2 illustrated map of our London Pub Stroll articles." By Morgan Hamilton Griffin. This will be a magazine for all of us who know to appreciate quality, craftsmanship and love anything bespoke. If you find this as exciting as I do, help make this magazine a success by ordering your issue now.